The 2019 World Cup will commence on 30th May with the hosts England taking on South Africa. The tournament is expected to be closely contested one as teams are well balanced. India will be one of the strong contenders to lift the trophy. India have won the tournament twice – in 1983 and 2011. While the 1983 win was unexpected as India were underdogs in that tournament, in 2011 India were strong contenders. In 2011 almost every player contributed, but none did it more than the Man of the Tournament, Yuvraj Singh. Yuvraj Singh scored 362 runs in 2011 edition and bagged 15 wickets to help India to achieve the glory. Throughout the tournament, he made vital contributions with bat including a hundred against West Indies and prised out wickets at key times. In this article we will throw light on three players who can replicate Yuvraj Singh’s 2011 World Cup role in upcoming edition scheduled to be hosted by England and Wales. Hardik Pandya is one of the cleanest strikers in the current Indian team. The right-hander has the ability to tonk the ball and plays impactful innings. Like Yuvraj, in past, often he has lent finishing touches and on various occasions, he has also assisted in reconstructing the innings after a collapse. 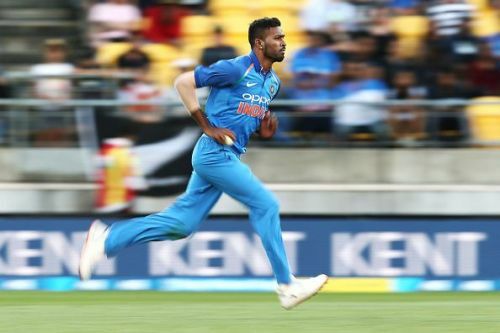 Pandya has had assaulted leg-spinners in the same manner as Yuvraj did in his prime. Many a time, he has hit hat trick of sixes – most notably against Pakistan in 2017 Champions Trophy group league match and in the Final. In 45 ODI matches, Pandya has an imposing strike-rate of 116.59 and has clobbered 36 sixes. Also, he is India’s fifth bowler and bowls mostly in middle-overs and picks up crucial wickets. His all-round display will go a long way in determining India’s campaign and if he could replicate Yuvraj’s 2011 performances, India are surely going to be a team to beat.